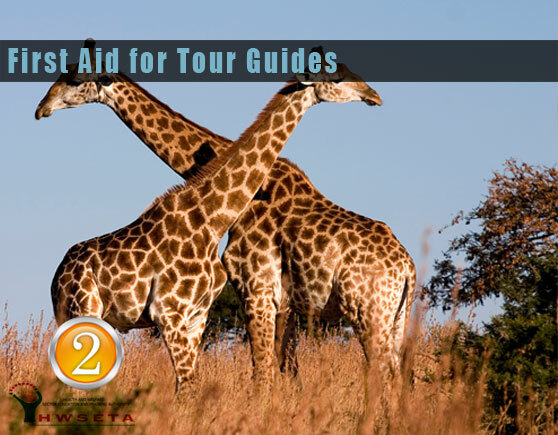 First Aid Training for Tour Guides | Get A Free Quote Today! South-Africa is definitely a Country blessed with many great landscapes and attractions. The tourism industry is an ever growing asset to our Country. First aid training for tour guides is vitally important to ensure the safety of the tourists. The tour guide has tremendous responsibility. Not just to show clients a good time, but also to keep the safe at all cost. We don’t usually associate much risk to the industry. We have tourists from all over the world that would like nothing more than a great safari. We all know that being in the bush can have its dangers. There are countless risks when you are in nature. As a tour guide, it’s important to know how to handle any injury you might face. First thought might be snake bite, or insect bites and stings. This is just some of the obvious risks. As a tour guide, you must be able to take care of your clients from the minute they are in your care. This means that your clients might be at risk much more than you think. First aid training for tour guides will cover all the obvious risks, as well as the risks you might not even think of. Even though, sunny South-Africa has much to offer, there are unforeseen elements that can cause you clients harm. You might be high jacked, or get into a car crash on your way to the safari. This means that essentially you have just as much risk as anybody else. Not knowing what to do during a serious injury can mean the difference between life and death. It’s always best to prepare for any imaginable incident. Most likely as a tour guide, you will never see any serious injuries. Being prepared for the worst case is the responsible thing to do. Our first aid training for tour guides will make sure that you are prepared. Tourists often put all their trust in the tour guide. The last thing you want is a tour guide without the knowledge and skill to handle any situation. Our first aid for tour guides course is HWSETA accredited. We suggest a level 2 first aid course for all tour guides. During this course snake bites will be included. The level 2 first aid course will be slightly more advanced than what the average person will require. We offer this course to both individuals and groups. If you require more information regarding the level 2 first aid course, feel free to contact us.